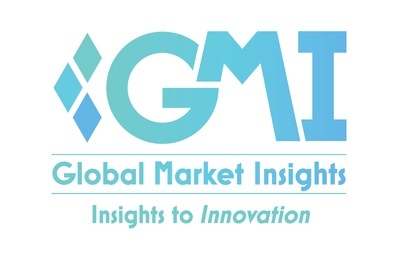 Superabsorbent Polymers Market Size to Exceed $9.5 Billion by 2025: Global Market Insights, Inc.
Superabsorbent Polymer Market size is slated to cross USD 9.5 billion by 2025; according to a new research report by Global Market Insights, Inc. Significant growth in hygiene industry has been driving the demand for superabsorbent polymer market. Rising health awareness and growing disposable income of people in emerging economies such as Asia Pacific have been contributing to the demand for hygiene products. Furthermore, superabsorbent polymer finds applications in wastewater treatment and paper packaging, which is also expected to add to the demand for these polymers in the market. Driven by such wide applications, superabsorbent polymer market is expected to witness significant growth throughout the forecast period. Diseases resulting from poor hygiene conditions is rising significantly in developing countries. Some diseases include pneumonia, hepatitis A, scabies, and gastroenteritis, which are caused by bacterial, viral, and parasitic invaders. Increasing number of such diseases is raising concerns in society and leading to adoption of appropriate hygiene conditions and habits in developed as well as developing countries. Growing incidence of these diseases has led to increased use of diapers, adult contingence and sanitary napkins which will further propel superabsorbent polymer market during forecast period. Increase in global population leads to higher food demand. Environmental change and global warming have resulted in irregular monsoons, which in turn affects the harvest. Superabsorbent polymers are known to assists plant growth during a drought. These also enable plants to survive through reduction of water requirement up to 50% in mountainous, dry, and desert areas, which will fuel superabsorbent polymer market throughout the forecast period. On other flip, fluctuation in crude oil prices will affect the superabsorbent polymer market owing to its derivation from petrochemicals. Raw material price trend volatility will lead to an unpredictable profitability, resulting in a high risk in investing in the sector. Superabsorbent polymer includes polyacrylamide copolymers and sodium polyacrylate. The other niche product segment includes polysaccharides, polyvinyl alcohol, etc. Among all, sodium acrylate will hold nearly 60% of the entire market throughout the forecast span. Rising demand for product from industrial and commercial sectors for various applications including coatings, sequestering agents in detergents, etc. has been driving the demand for sodium polyacrylate. Superabsorbent polymer market from medical application will witness around 7% CAGR throughout the forecast period owing to increasing use of product in wound care dressing, and surgical pads. Moreover, technological advancements to manufacture antimicrobial and chronic wound dressing products will fuel the superabsorbent polymer market throughout the forecast period. China SAP market is expected to generate revenue over USD 1 billion in 2025 as the country has achieved significant economic growth which has subsequently increased spending capacity of people. Increased GDP signifies the growth in spending power and socio-economic development, which in addition to growing awareness affects the hygiene market positively. This will upsurge the superabsorbent polymer demand throughout the forecast period. Key players in the superabsorbent polymer market which holds the major market chunk include LG Chem, BASF SE, San-Dia Polymers, Sanyo Chemicals Industries, Zheijiang Satellite, Formosa Plastics, Nippon Shokubai, Evonik, Sumitomo Chemicals, Yixing Denson Technology and Songwon Industrial.